Narnia... a land frozen in eternal winter... a country waiting to be set free. 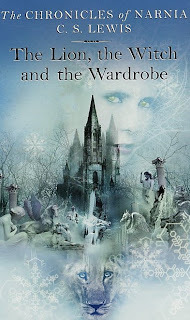 Four adventurers step through a wardrobe door and into the land of Narnia - a land enslaved by the power of the White Witch. But when almost all hope is lost, the return of the Great Lion, Aslan, signals a great change... and a great sacrifice. 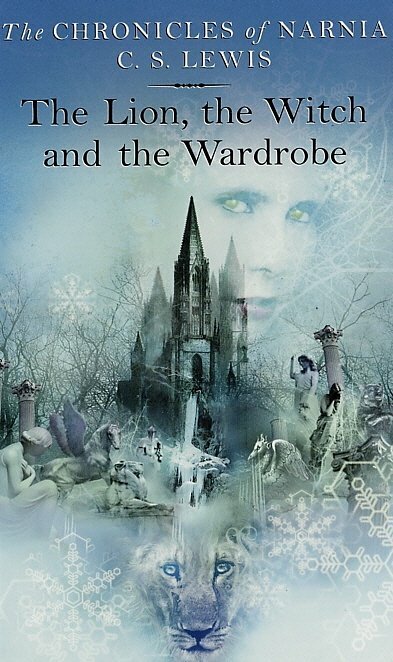 Having only ever seen the films and heard others opinions, I didn't quite know what to expect from The Lion, the Witch and the Wardrobe. It's a quick and quite enjoyable read. It's very obviously a children's book, but you can feel its relations to the grandness of Lewis' good friend Tolkien. If it was published for the first time today, it wouldn't receive any recognition, but in 1950 it was ground-breaking and fantastic. I was quite surprised at how strong the religious/Christian parallels are in the book. I had heard of it, but seeing very little of it in the films I didn't think any more of it. In the book, Aslan is very much painted as the saviour, but thankfully the book is still readable*, and overall I liked the story. *You must forgive me, but I do not appreciate reading religious literature. I do not mind religion in books at all, as it can be a big vital element for a story and its characters. However, I will close a book if it starts preaching. I haven't read these books as an adult and wonder what my impressions of them would be now that I am grown up and a bit more cynical. I am glad you enjoyed it overall. I adored the entire Chronicles of Narnia series as a child. The religious stuff only gets worse as the series goes on. I don't want to spoil the ending but there's some serious sexist religion stuff happening right at the end of the last book. OMG I had the same thoughts about this that I mentioned yesterday in my other review, no wonder you pointed out my comments on CS Lewis lol. I guess as the saying goes Great minds thinks alike lol. Iben has read 0 books toward her goal of 150 books. read 0 books toward her goal of 150 books. Iben has read 6 books toward her goal of 125 books. Iben has read 0 books toward her goal of 100 books. Iben has read 1 book toward her goal of 75 books. Iben has read 22 books toward her goal of 50 books. Iben "Noia" has read 28 books toward her goal of 100 books. Her kan du finde anmeldelser af alt fra fantasy, science fiction, kærlighed, chicklit, YA og NA til historiske romaner, krimier, spændingsbøger, og hvad jeg ellers lige falder over, der ser spændende ud. Herudover er der bl.a. Book Hauls og Kommende Udgivelser, samt Månedlige Opsummeringer. Book reviews, photos (unless otherwise stated) and blog content by Iben Jakobsen. Do not use or copy without written permission. Share book reviews and ratings with Iben , and even join a book club on Goodreads.